This is the summary of consumer reviews for Oster Professional 103 Stim-U-Lax Massager. The BoolPool rating for this product is Very Good, with 4.10 stars, and the price range is $74.99-$99.95. 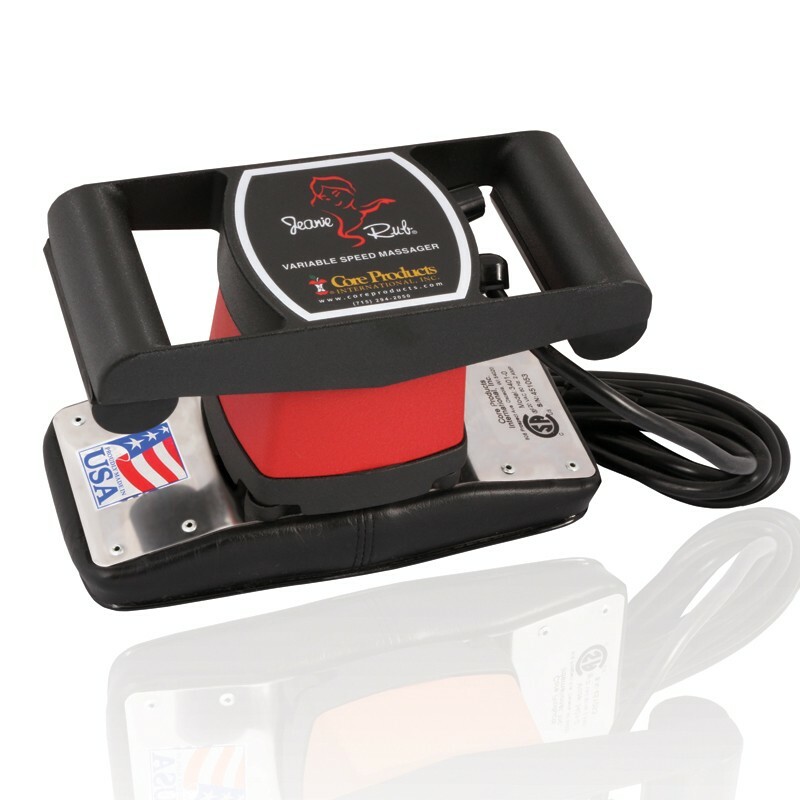 The Oster Professional 103 Stim-U-Lax Massager is a professional grade, lightweight therapeutic massage machine that combines the advantages of hand and mechanical massage. Its special contoured design reduces hand fatigue and its universal motor is constructed for heavy-duty use. It provides soothing, relaxing movement through your finger tips. 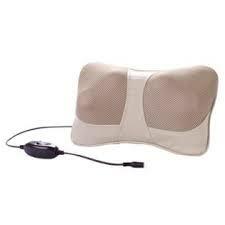 This massager really relaxes and relieves the pain from your shoulders and back. 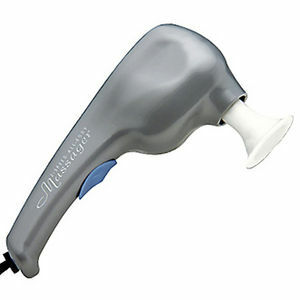 This devices works very well and is used by many massage therapists and barbers as it is great for scalp massage also. However, as per some user reviews, the Oster Professional 103 Stim-U-Lax Massager may be a bit heavy and uncomfortable for those with smaller hands. The strong vibrations of the product may make it slip off your hands during use, or even numb your hands after use. 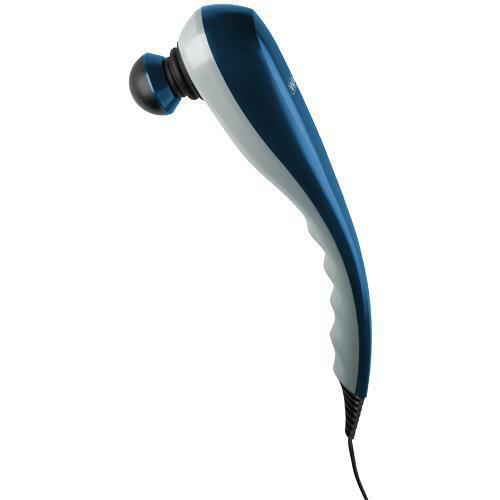 Overall, the Oster Professional 103 Stim-U-Lax Massager is a highly rated and well liked by most users for its quality and performance. It has 100% ball bearing construction with special frame contour to fit hand and reduce hand fatigue. This product has reasonable price given its good quality. Excellent gadget to feel relaxed! Good value as it was a little high in price but very instrumental in relaxing my wife's strained back and other extended muscles. Great start perhaps to a relaxing evening. Probably the best i've owned. Very relaxing either used professionally or done for or by you're favorite partner. After my First time use on incriminated places my pain was over. It's great though,it fixed my pains in my neck and shoulder. 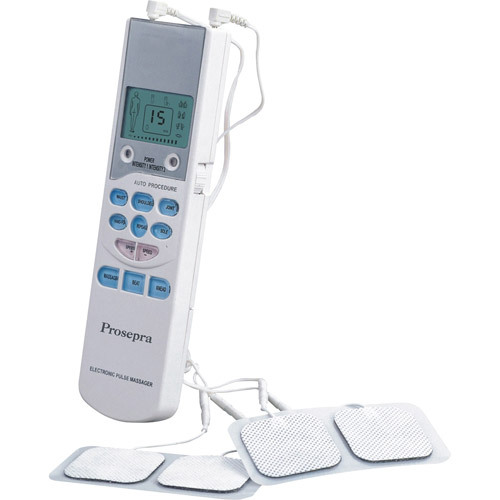 Other than that, it works really well and I do try to use it (by myself, sometimes, by laying it on the painful spot and letting it vibrate without any pressure) the first time I notice any pain returning. I use this on her back, neck, legs and arms to relive her pain. 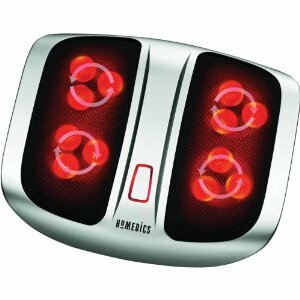 This's such a good massager; works wonderfully for those aches and pains, especially in the legs. I've some back and neck issues and the massager really relaxes and relieves some of my pain. I've back pain since january 2009 relatetd to cold during winter and not enough clothes. I've been looking for one of these for a long time. I purchased this massager for my back because my Physical Therapist had one that he used on my back pain. I'd a nerve in my shoulder that has been sore no throbbing for a year I used this for a week the pain is gone its awesome my kids love it too. As a massage therapist, I'd highly recommend this product to my clients for their own self-care treatment. Very high quality at a reasonable price.Oster makes great products It does the job. I'm a neuromuscular therapist and have been using this product and this brand only for years. 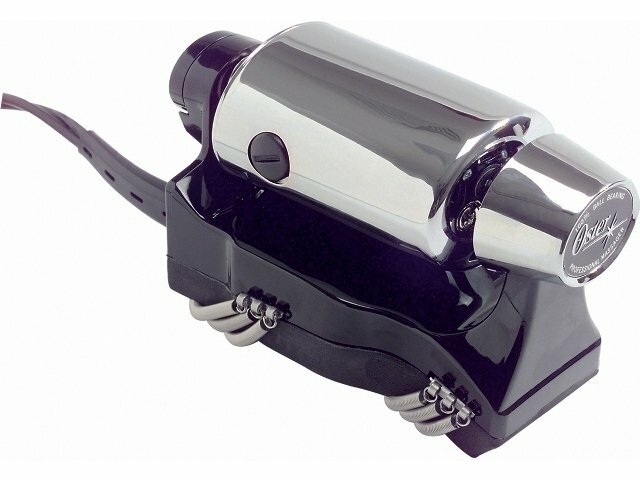 have tried different massagers over the years. kit isn't necessary to have for many years, seeing the quality of the unit. 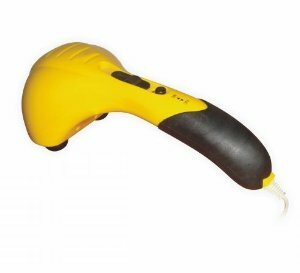 It's both a simple and versatile tool for capably massaging and soothing tired muscles. Although it took several years, I finally found a scalp massager of the type that barbers used over 65 years ago!. Good quality but big and heavy. 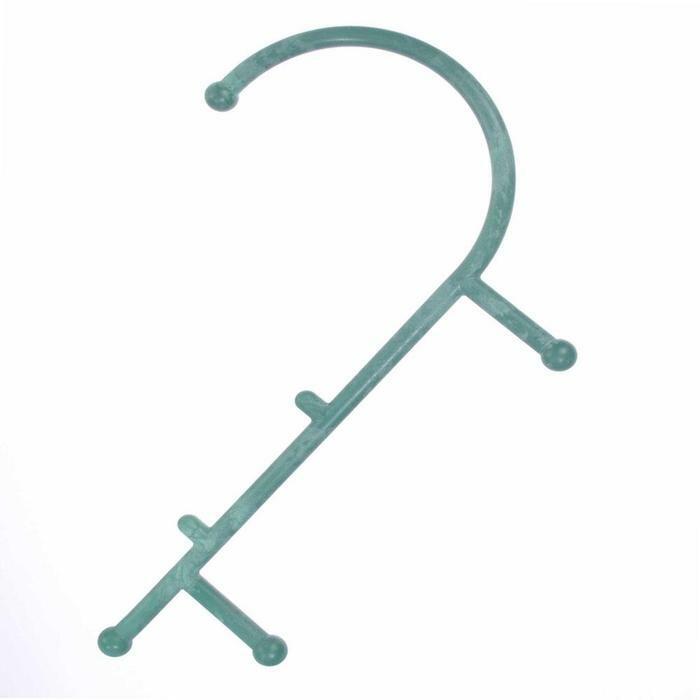 The barber where I get my hair cut uses one of these after each hair cut and I love it. I use this in my Barber Shop to give my clients something extra after a hair cut. My son and I learned to love these because they're used at our old school barber shop. I'm a barber in a shop that specializes in shaving and I use the massager on every customer. Same effects it'd when long ago you got your haircut the barber added a bit of a neck massage. This Massager is just like the one my father used in his Barber Shop many years back. My barber has one similar and I always enjoy the message. So I bought this for my wife as she loves a good massage. The customers also love it. I don't know of any beauty salons or barber shops who uses any type of scalp stimulating technique (other than your basic hair washing), so I'd recommend having one for yourself!. It's a good help for auto massaging, or to give massage, but only for people with big and strong hands. These massagers are very powerful and take some getting used to on the hands, but I assure you the recipient of said massage will be your friend forever! However I do find it a bit awkward to keep stabilized upon the hand when massaging. A bit hard on a smaller hand, but certainly much easier than no assistance for massage. Massages are the most relaxing way to share a great time with your wife, I ordered 2 for two handed use. It's strong so smaller hands and women's hands have found this too hard to control. I bought this product in hopes that it takes the work of giving a massage...away. Only your hand or fingers actually touch the subject so there's more control than massagers that look like a round hammer or rocket ship???. The Oster Stim-U-Lax Massage is an exceptional product but the seller or Amazon advertised as a "twin item" which meant two massagers were to be sent. Keeps slipping off my hand. Hurts hand when strapped on. My hands are small but the spring type straps are very tight and hurtful - one's hand quickly goes numb - I can't imagine a larger hand being able to use this item. It wouldn't fit on my husband's hands or stay properly on his average-size hands. It fits on my hand nicely. It's hard for someone with large hands to use but for a woman's hands or teenagers it works just fine. It tends to vibrate off my hand more. It fits well on my hand and isn't too heavy. and it tires my hand quickly.